We ended the last week with the unveiling of a new manufacturer, Tumbril Land Systems and its inaugural vehicle; the Cyclone. It includes 4 additional variants to handle cargo, turrets, reconnaissance and ground support roles. The concept sale for the Tumbril Cyclone lasts until August 2nd, so visit the sales page here and pick up yours today! With that, lets take a look at this week. Today, the newest episode of Citizens of the Stars now available! This week, PrincessFray joins the Citizen Spotlight to discuss the fun content created by The Damn Shames org. 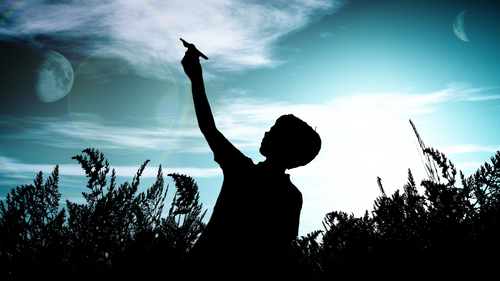 Plus, Cameron Wilkie has the answers in this round of Quantum Questions. On Tuesday, the Lore Team gives us another rich and interesting look at the history in Star Citizen. 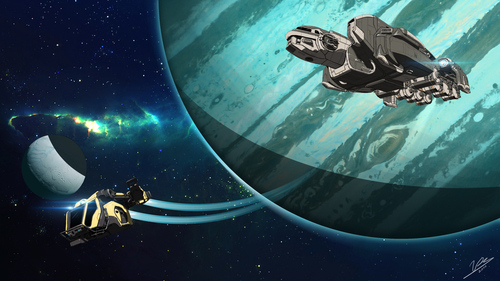 Every week is something new from the story of Star Citizen. I can’t wait to learn more about this rich and in-depth universe. Follow that on Wednesday, Mark Abent is back with another episode of “Bugsmashers!” What issue will he battle this week? You’ll have to wait and see here. 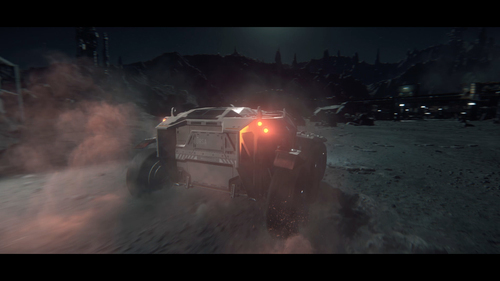 Also, the Tumbril Cyclone Q&A will be available. We’ve picked the questions most voted on by you! On Thursday, Around the Verse returns with an update from Jake Ross in our Austin, Texas studio and Benoit Beausejour from Turbulent! On Friday, you asked for it and we delivered. Join Jared Huckaby and special guest Live Designer Gareth Bourn for Happy Hour Gamedev: Building a Solar System. Gareth walks us through SolEd to build a solar system using feedback from the viewers! You won’t want to miss it. That’s all for this week, we’ll see you in the ‘Verse! Vinchoc create a retro-pop style artwork of the Argo and Starfarer. It’s a different art style than we are using to seeing, but it has fantastic color and shading. A new favorite! 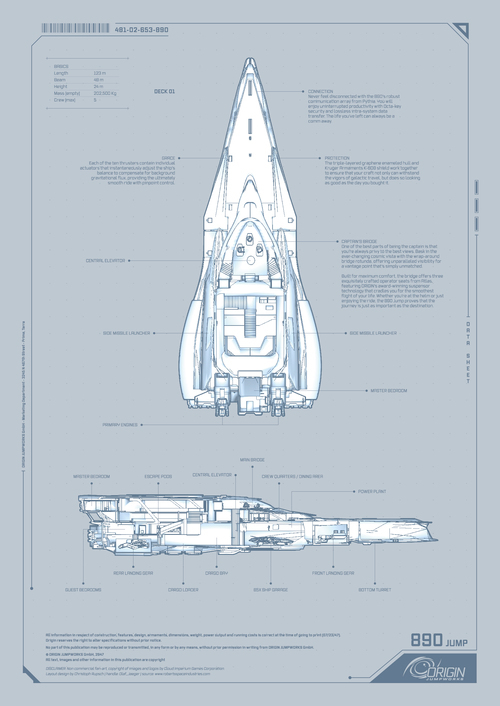 Olaf Jaeger has created another stunning piece to his collection of ship posters in Star Citizen. This time it is the 890 Jump, and it’s my favorite yet. I hope one day you can create the Merchantman. 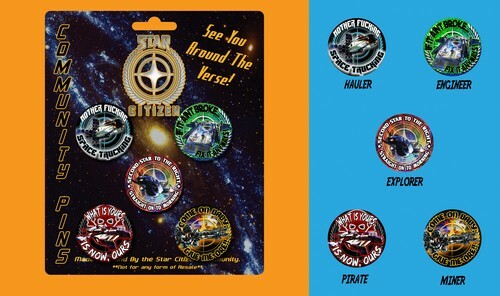 RaxsisOhnaka took the time to create pins representing each role that players can have while in Star Citizen. Make sure to click the post to view the entire set!